So it's time to plan the Halloween costumes for this year. The problem is, they keep changing their minds. I thought it would be fun to share our costumes through the years and then tell you what we're planning this year. Here's Rex when he was one. My mom sewed him this Elvis costume and we bedazzled it. We sprayed his hair black and drew in side burns with eye liner. This still might be my favorite. The next year we did fries and a hot dog. I bought both costumes. The french fries were from Pottery Barn, but I found them way cheaper on eBay. The hotdog was an old one from Old Navy. The next year Rex was dying over the Wolverine costume at Target, so I had to give in. It had claws and I couldn't compete with that. Baden wore a hand-me-down skunk costume because the gnome one I bought was way too small to squeeze him into. Last year you might recall that Rex was Thor (which you can see the creation of HERE). Baden was a viking (which you can find the tutorial for HERE). It's always fun when you can convince them to coordinate. 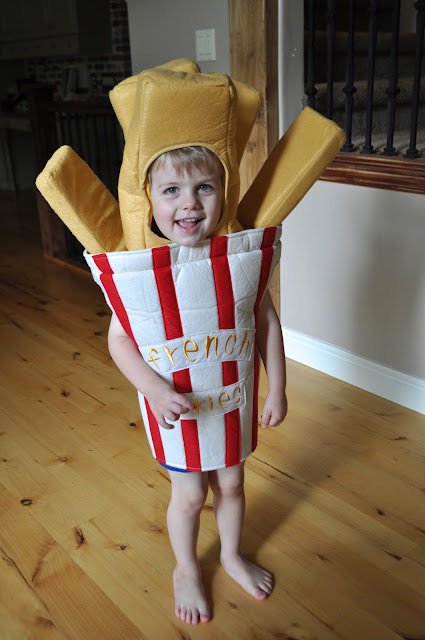 ...and the fry costume we already have. ....and a slurpee. We'd probably make something similar to what Char did HERE. It would be easier though, because Rex is still pretty small. 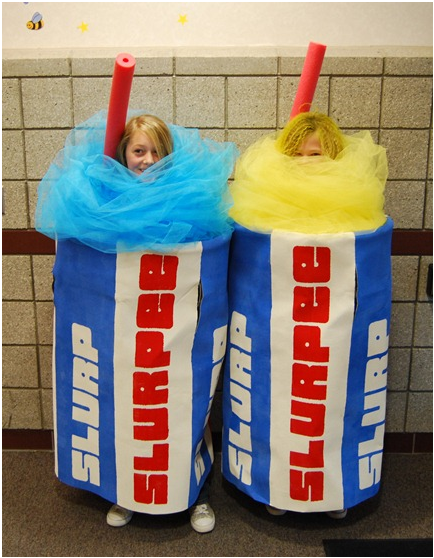 He does have a BIG slurpee obsession, though. What are your costume plans? Feel free share links in the comment section. 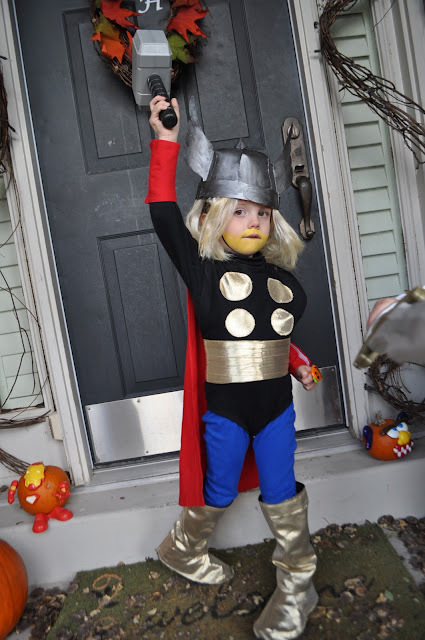 - Catching Fireflies had a fun Halloween costume round up HERE, that including our viking costume. There's a tooth and tooth fairy one (originally from HERE) that's killing me. Love it. - Last week was Project Run and Play's boy week. See the competition HERE. They are too cute in all of them, and y'all ate so creative! Where did you find the gnome costume? 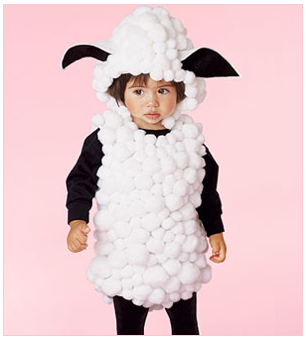 That's what I want my almost two year old son to be! It was from Target. I think they still have it online, but if you buy it you should buy it 1-2 sizes larger than you'd think. It ran so small! 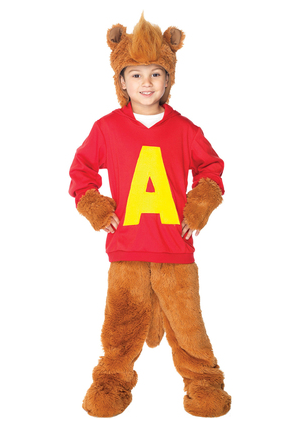 I always wanted my 3 kids to be Alvin and the Chipmunks. I love the SLURPEE, like LOVE, I have a new obsession myself, I mix all the flavors together, so good, its my guilty pleasure. We are also going to Disney World next week and will be attending Mickey's Not-so-scary Halloween Party where parents are encourage to dress up, so my hubby and I will be going as Mr & Mrs Potato Head. :) I'll be sharing the tutorial tomorrow! We are having a Doc McStuffins (Lucy) and a giraffe (Grant). I made a pink skirt for Doc's outfit while my MIL is making a doctor's coat. The giraffe is a hand-me-down from Lucy's second year. They will be a great pair, but won't top last year's Princess Tiana and the frog! I love Elvis! We are planning on being Harry Potter and Hermoine and our baby girl will be Hedwig the owl! We are going as the Phineas and Ferb Family. I'm surprised that one of my boys is willing to wear purple pants. Adorable! That will be so fun!! Adorable. I need to do a round up of Halloweens past! Last year I was a crayon and my son was a ninja. He wants to be a Ninja again, but this year we have a hand-me-down Ninja costume that is MUCH cooler than the one Mommy made. We will be having a Luigi, a Captain America and a dalmation puppy. Any ideas on how to do the Luigi one? I'm having a hard time finding a resonably priced pre made one. my 3-1/2 yr old is going to be a robot. he's obsessed with robots! the plan was to make it with boxes, but a local deal came up and I got a (used) fuzzy warm old navy robot costume for under $6 so, we'll be happy with that! My daughter wants to be Bat Girl. Now I finally have something to kick me into gear to make the superhero cape pattern I bought on Etsy from your mom's shop. I bought purple for both capes and fushia for the logos. I was hoping she would lean towards a more traditional yellow emblem, but I figure I should be grateful for the colors she selected as she wanted her costume to be "all the colors of the rainbow" and I just couldn't figure out a way to make that happen. Thinking of making another cape after Halloween in a rainbow pattern on one side, pink on the other and make crowns/unicorns/etc for princess dress-up play. I DID IT I DID IT I DID IT!!!!!!!! I will upload photos soon... but with a lot of inspiration from your blog I DID IT! It isn't perfect, but it came together great! I even made a skirt to go with it. I'm feeling so giddy excited right now! My daughter LOVES it too. Pics to follow soon (napping now then school party tonight). We are being the Rubbles-Betty, Barney and Bam Bam. We had to add a pet dinosaur since we have two boys though. This is the first year in quite a few years where I put so much thought in to my costumes and I think it turned out great. I purchased the boys costumes, but have created mine and my husbands. 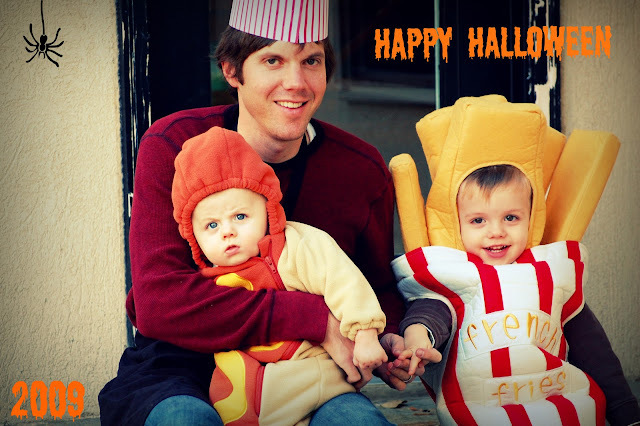 Excellent post share on halloween costumes at this excellent website. Good to see how these costumes are changing over the time, this looks really good and interesting. I hope to learn more on it shortly though.